I can honestly say without a doubt that Michelle & Jake are one of those couples I won't forget. Not only were they extremely sweet and gracious but so were their bridal party and guests. I can't even remember how many people came up to us thanking us and their bridesmaids and groomsmen too were just so down-to-earth and kind. These guys partied on down and had an amazing time at Soho South with non-stop jams from Island South. 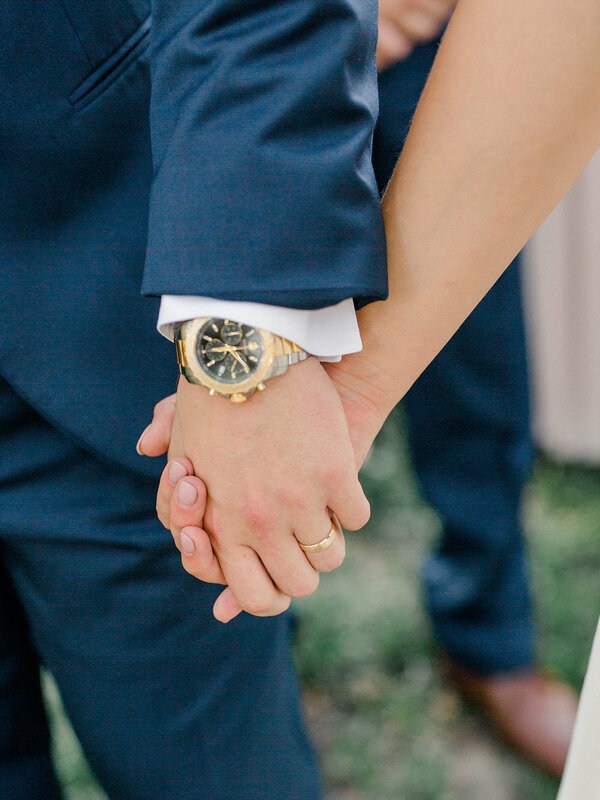 So excited for these two... and what's even cooler is their wedding is up on Style Me Pretty!! Click to see their full feature on Style Me Pretty! 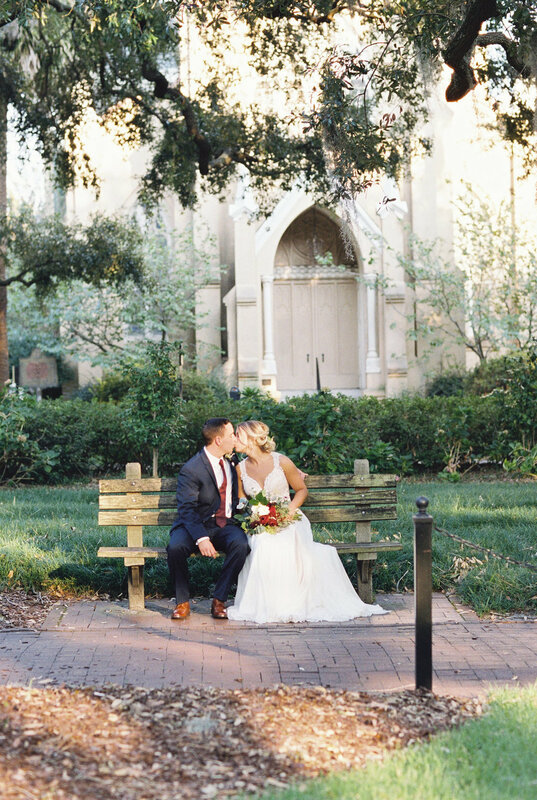 There is just something so effortlessly charming about I&B Couple Michelle and Jake, and luckily enough for us, they chose to celebrate their marriage at the most effortlessly charming venue in Savannah: Soho South! Every little detail was absolutely flawless. 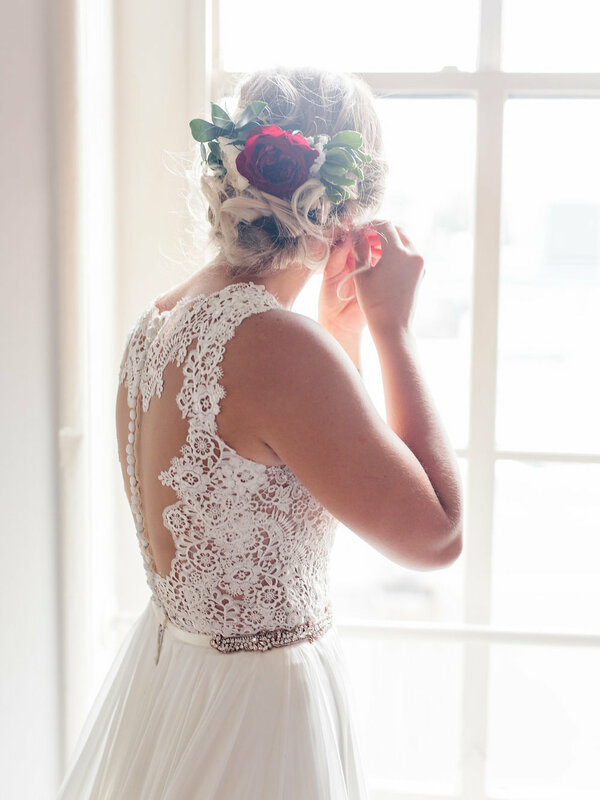 Michelle put together the perfect bridal look, right down to this magnificent bouquet full of red and burgundy blooms. 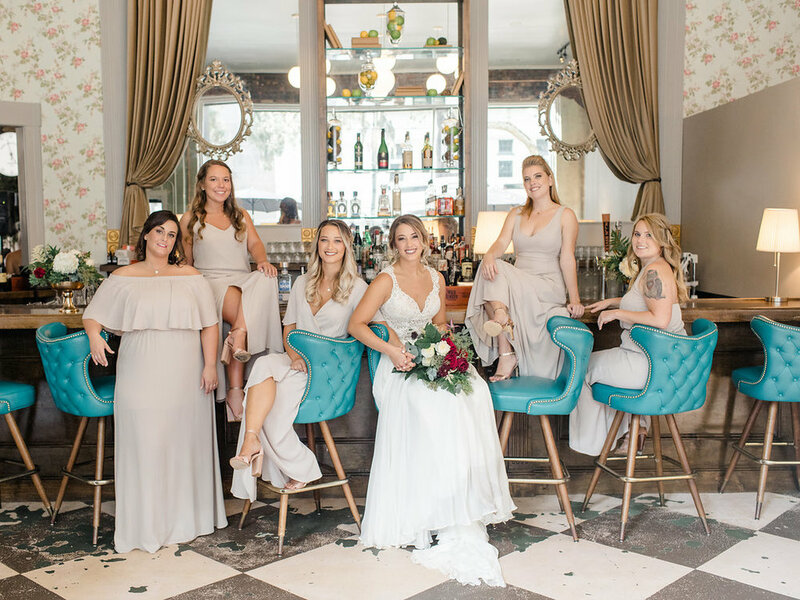 I am in love with her mismatching bridesmaids pals in a soft neutral color that complimented the venue perfectly. Don't they look like woodland fairies?!!? Seriously these girls were beautiful!!! Inside and out!!!! 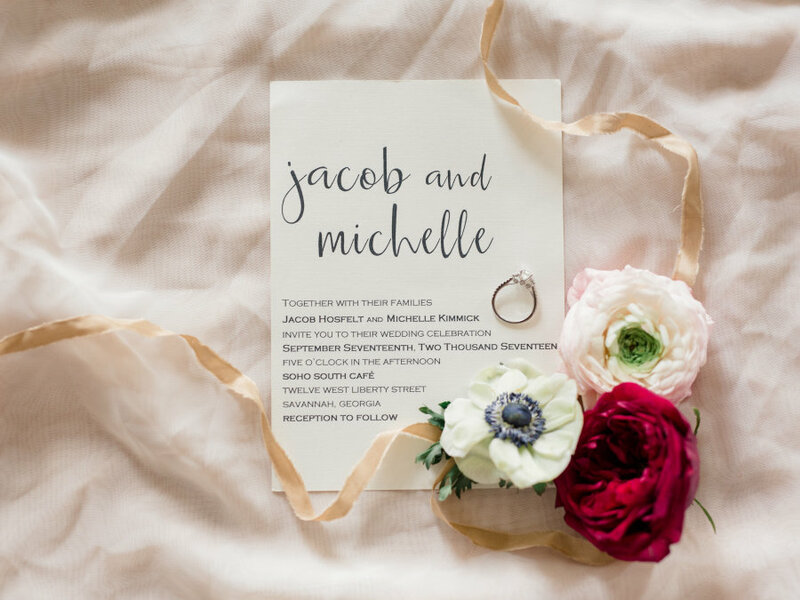 We loved the mismatched chairs for Michelle and Jake’s ceremony. What a great way to add interest without overwhelming your guests with decor. For the rest of the decor, we did a lot of greenery, which well... interesting story behind that. Their wedding was a week after the hurricane hit Savannah causing an evacuation of the city... Well, it didn't even really hit to be honest but we still evacuated. And so lo and behold, due to the hurricane our greenery order never arrived. So all that greenery you're seeing? Foraged from my neighbors' yards early the morning of the wedding... But like always, we pulled it off and I love love loved the organic natural look that it gave everything rather than a more polished look. Huge congratulations to these two cuties on their wedding and thank you for choosing Ivory & Beau for coordination & flowers!!!!!!!! Wishing y'all all the best years!!! !